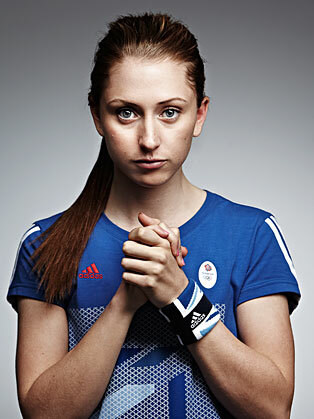 Laura Kenny OBE was born a month prematurely in Harlow in Essex with a collapsed lung and was later diagnosed with asthma. She was recommended by doctors to take up sport to regulate her breathing. Laura first began cycling when her mother decided to take up the sport to lose weight, Laura and her sister joined their mother and she then became serious about the sport. As a junior, Laura won the Junior World Champion title in the Omnium, not to mention winning National titles in track, road and Time Trial racing. The 18 year old was also selected to compete at elite level in the 2010 European Track Championships – the first event to qualify points for London 2012 – and won the Gold medal in the Team Pursuit. In 2010, Laura was also selected for England’s Commonwealth Games squad in which she was the youngest member. 2011 saw Laura make her debut on the Senior World Championships stage, winning Gold alongside Wendy Houvenaghel and Dani King in the Women’s Team Pursuit. In 2012 Laura was part of the trio who not only broke the world record twice in the Team Pursuit in one day but retained the rainbow jersey for the second year running. Laura added another gold and world champion title to her growing collection in the Omnium, a few days later.